With WINDHAND's hard-hitting third full-length album Grief's Infernal Flower, the group has cemented itself as one of the premier metal bands of our time. The musicis palpable, heart-wrenching, personal - drawing inspiration from nature and the cycle of life. It conveys an irrepressible sense of motion even within the slowest of songs. The band's sound is a modern testament to the power of doom and stoner metal's legacies and you can hear it for yourself now, in full, via NPR's First Listen before its release this Friday. Click HERE to stream Grief's Infernal Flower in its entirety. Grief's Infernal Flower can be ordered physically via Relapse HERE and digitally via Bandcamp HERE. Info/Bio: For a band who traffic in measured, unhurried riffage, Richmond's WINDHAND have certainly moved quickly over the last few years. Founded in 2009, the VA quintet has been making waves since the release of its 2010 practice space demo, a two-track CD that garnered the band comparisons to artists like Electric Wizard, The Devil's Blood, and Black Sabbath. That auspicious start was further realized in March 2012 when the band released its self-titled debut, which quickly became an underground hit and sold out of multiple vinyl presses in a matter of months. A year later, the band officially signed to Relapse Records. After a steady touring schedule, the band collaborated with Richmond brethren Cough on a split entitledReflection of the Negative, which was released on Relapse in April 2013. 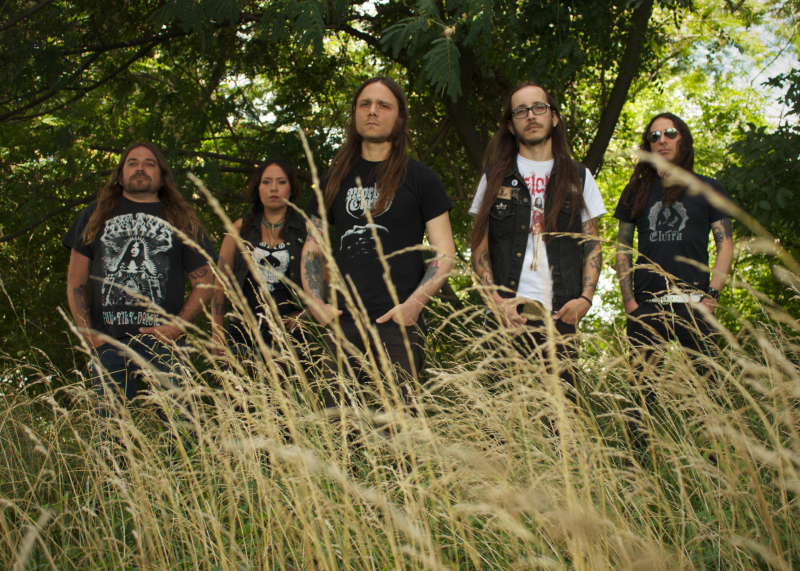 Pitchfork deemed the split WINDHAND's "best music to date," and the record's positive critical reception helped pave the way for WINDHAND to release the highly anticipated album Soma in September 2013. Stereogum, Spin, and LA Weekly featuredSoma prominently on their overall best-of lists. The album was heavily represented in countless metal publications including Revolver, Invisible Oranges, MetalSucks, and Metal Injection. Rolling Stone, NPR, and Pitchfork all took note of Soma as well; the former considered the album the third-best metal release of 2013. In 2013 and 2014, the band embarked on a series of support and headlining tours across North America, Europe, and Australia, sharing the stage with the likes of Sleep, High on Fire, Dead Meadow and Kvelertak. In addition, WINDHANDappeared at major festivals including Roadburn, SXSW, Scion Rock Fest, Day of the Shred and Maryland Deathfest. 2015 sees WINDHAND return with its third full-length, Grief's Infernal Flower. This time around they've teamed up with Jack Endino (Nirvana, High On Fire, Soundgarden) resulting in a multifaceted slab of thundering stoner doom that Noisey has called "doom metal's most anticipated album of the year." 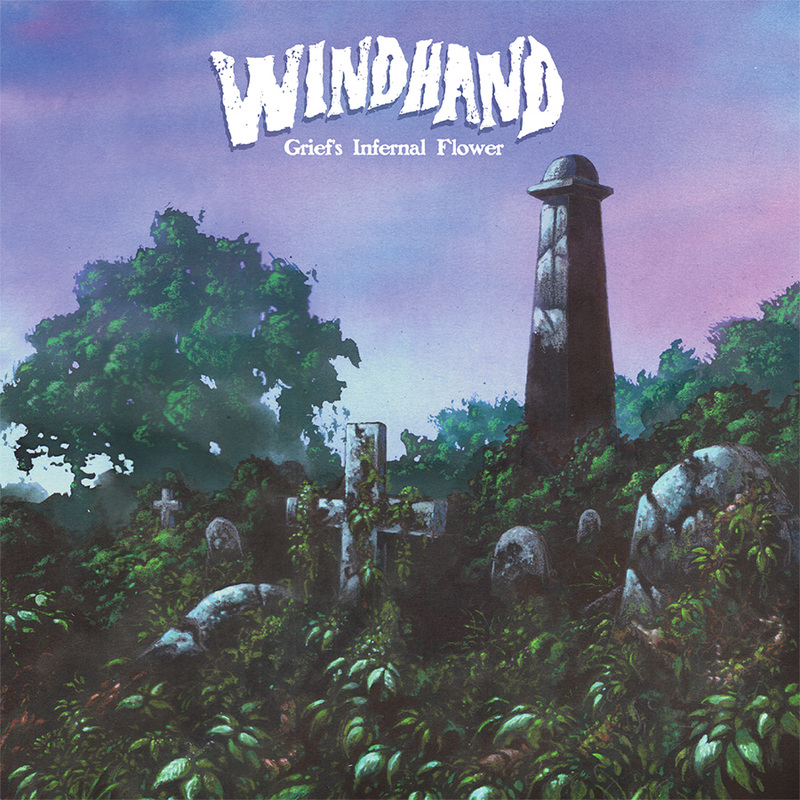 WINDHAND 'Grief's Infernal Flower' Available Now!